Learn how to take diagnostic images in both canine and feline cases and identify all the lesions commonly encountered in practice. Suitable for all general practitioners and VNs, beginner to intermediate level, this course is essential for dentistry and oro-facial surgery. Revolutionise your dentistry on this highly practical course. Imaging techniques are fundamental to dentistry and oral surgery. The majority of pathology is subgingival – if you can’t see it you can’t diagnose it. Delegates will gain knowledge and confidence to obtain and interpret images through extensive wet-lab practical and interactive sessions. Prisen inkluderer kursavgift, kursmateriell, lunsj, kaffe, te, kaker, frukt og mineralvann i alle pauser. 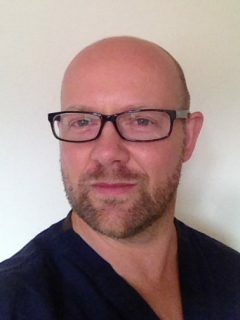 Dr Smithson is a Veterinary Surgeon with specialist veterinary dentistry training background; he then gained dual qualification as a human Dental Surgeon and holds the Certificate in Endodontology. He operates Veterinary Dental, Oral & Maxillofacial Referrals, is President of the BVDA and lead lecturer in Dentistry & Oral Surgery at Nottingham Vet School. Alex combines experience from veterinary specialist centres and human dental centres and hospitals to benefit patient care. Dr Smithson is a dual-qualified Veterinary Surgeon and Dental Surgeon. Director of Orosurgeon Ltd, he operates Veterinary Dental, Oral & Maxillofacial Referrals in North West England. First qualifying as a vet, Alex undertook six years specialist training in veterinary dentistry, oral & maxillofacial surgery. He then qualified as a human Dental Surgeon before studying pain, pulp and root canal treatment in detail to gain human post-graduate Certificate in Endodontology. Dr Smithson combines experience from both veterinary specialist centres and human dental centres and hospitals. He is a member of the British Endodontic Society, British Association of Oral Surgeons and President of the British Veterinary Dental Association. Course Organiser for the BVDA for nine years, he teaches university and post-graduate courses UK and abroad. Dr Smithson is the National Advisor for Dental and Oral Health to Guide Dogs for the Blind Association and lead lecturer in Dentistry and Oral Surgery at Nottingham University Veterinary School.